Beaumont is located near the exit of Beaumont-Antire road and Interstate 44. At the exit, take Antire road southwest along I-44 until it bends south. The sign for the entrance to Beaumont is on the left just after the road turns south. Trail heads are located near the Emerson Center. 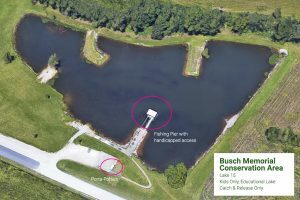 An official trail map is available at the Boy Scout office. 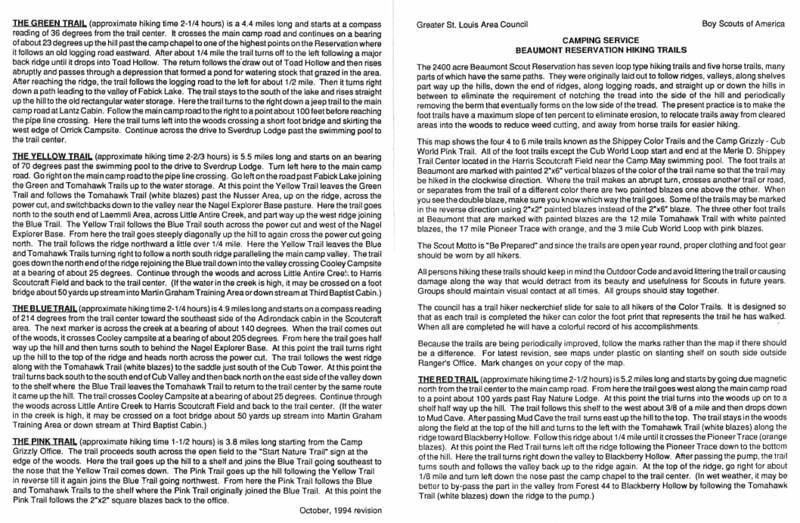 There are many different trails at Beaumont, each labeled with differently colored blazes. 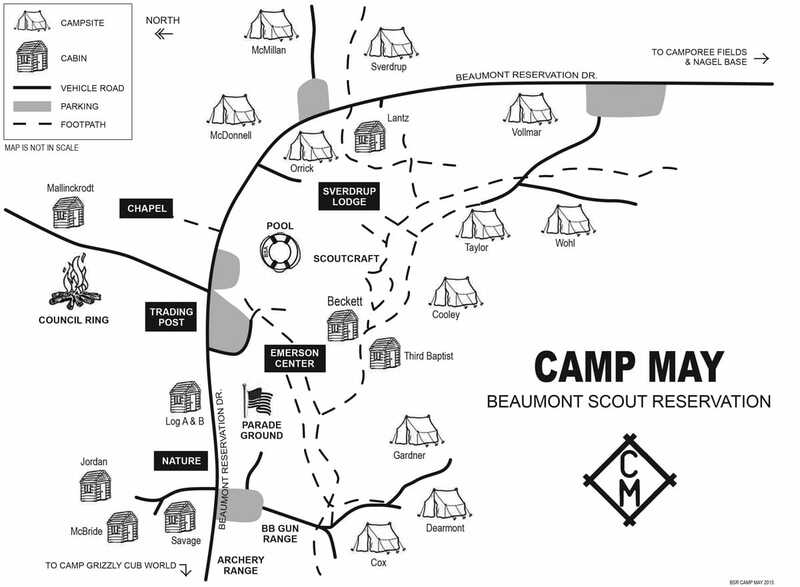 Camp May (At Beaumont) is located near the exit of Beaumont-Antire road and Interstate 44. At the exit, take Antire road southwest along I-44 until it bends south. The sign for the entrance to Beaumont is on the left just after the road turns south. Trail heads are located near the Emerson Center. 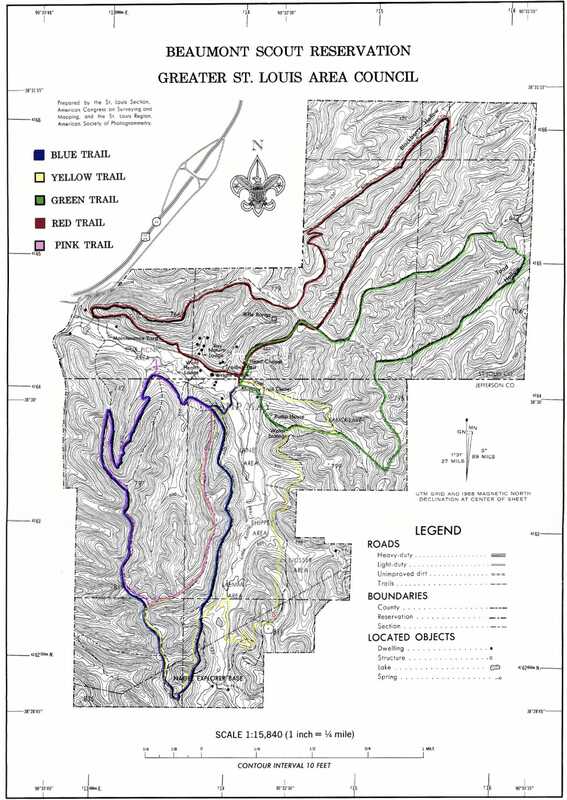 An official trail map is available at the Boy Scout office. There are many different trails at Beaumont, each labeled with differently colored blazes. Located south of Farmington off of highway 67.Contains the 21 mile 3-Notch Trail, a rugged trail that passes by rock climbing and rapelling areas, as well as Castle Rock. Directions: highway 55 south to 67; highway 67 south past Farmington; turnoff is 2-3 miles past Knob Lick (higway DD). 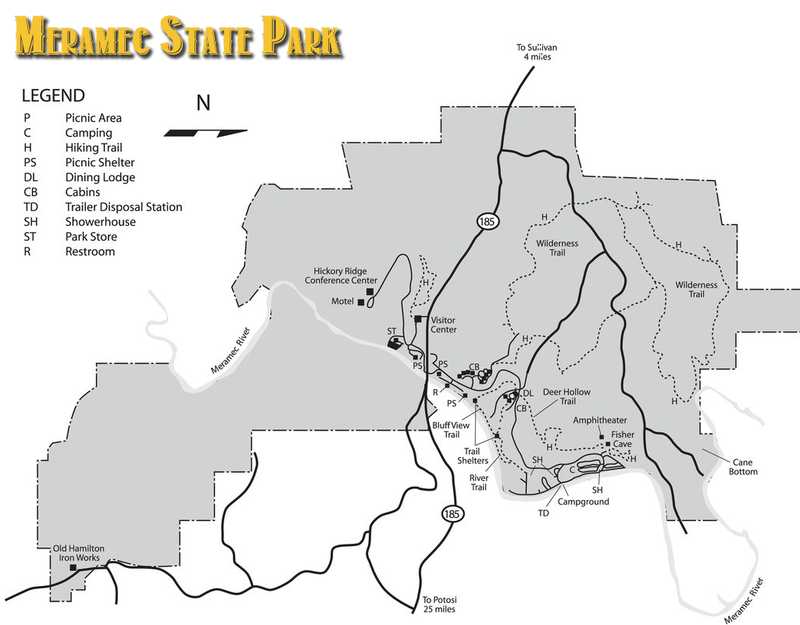 Camp Gamble (At S—F Scout Ranch) is located south of Farmington off of highway 67.Contains the 21 mile 3-Notch Trail, a rugged trail that passes by rock climbing and rapelling areas, as well as Castle Rock. Directions: highway 55 south to 67; highway 67 south past Farmington; turnoff is 2-3 miles past Knob Lick (higway DD). Meramec State Park is a state-owned, public recreation area located near Sullivan, Missouri, about 60 miles from St. Louis, along the Meramec River. The park has diverse ecosystems such as hardwood forests and glades. We are chartered to the Concord Elementary School PTG, however we meet at Truman Middle School. The Jefferson Barracks Military Post is located on the Mississippi River at Lemay, Missouri, south of St. Louis. It was an important and highly active U.S. Army installation from 1826 through 1946.